Mix your casting resin and catalyst. The back of your container of resin will tell you the amount of resin and catalyst required. 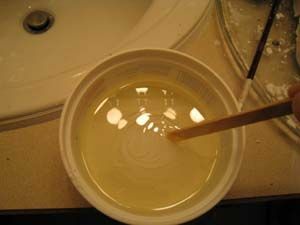 Stir gently, making sure to mix the resin and catalyst well. Be mindful to prevent air bubbles, as they are very hard to remove and will be visible in your cast. 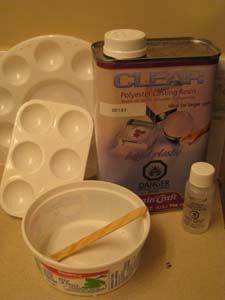 Spray/coat your molds with release agent so your resin will be easy to remove once cured, then pour your resin into your paint trays. 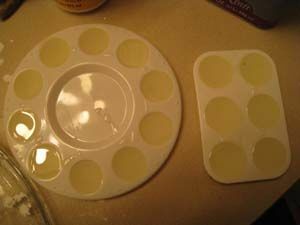 Once the resin and catalyst have been mixed, the product cannot be stored for later use and will harden within 5-10 minutes. 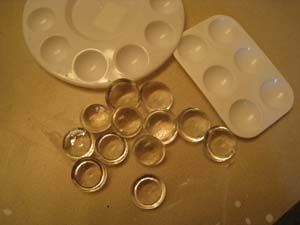 It is important to be mindful of how much resin you require, so you do not end up with a lot of leftover resin that will go to waste. Resin takes about 3 days to a week to fully cure. You will know when your resin has completely cured when the resin is no longer sticky to the touch and no longer emits an odor. If after a week your casts are still sticky, it is possible you did not add enough catalyst. You can add a few drops of catalyst to the sticky area to encourage curing. 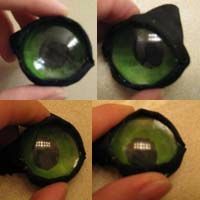 You may paint the backs of your eye blanks for a taxidermy style eye, however if you wish to make a "follow-me" eye you will have to continue with the following steps... Take 2 of your eye blanks and place them together back to back. 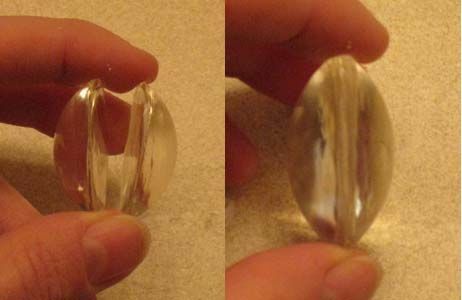 You can use a clear glue like superglue to afix them together. Paint one side of the eye starting with the pupil. Paint the iris with the color of your choosing... keep in mind the color you paint FIRST will show up on TOP, so it is important to paint the colors your desire in the right order. 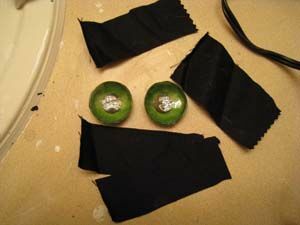 If desired, you may glue fabric around the outside of the eyes for eyelids. Your "follow-me" eyes are now complete and ready to be installed!